* I've been using First in Flowers for over 5 years. You helped me get personal gifts to people I love even during the 3 years our family spent in Germany! Thank you! * I ordered from a different on-line place yesterday, I get back to my work computer today, Saturday, and the order was cancelled. I had spent 30 minutes on their site to get the order, and the card just right. Today I spent 15 minutes on your site and I was done. I will use 1st in Flowers from now on for my out of state or across town flower delivery. 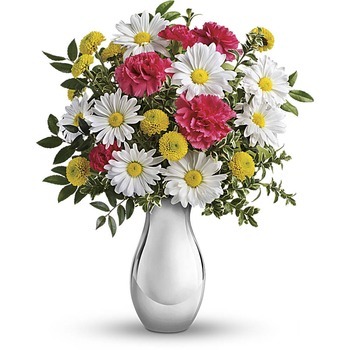 * GREAT EXPERIENCE I WOULD RECOMMEND 1ST IN FLOWERS TO ANYONE.